Digital that makes a difference. Thinking Digital is an annual conference for those curious about how technology is shaping our future. 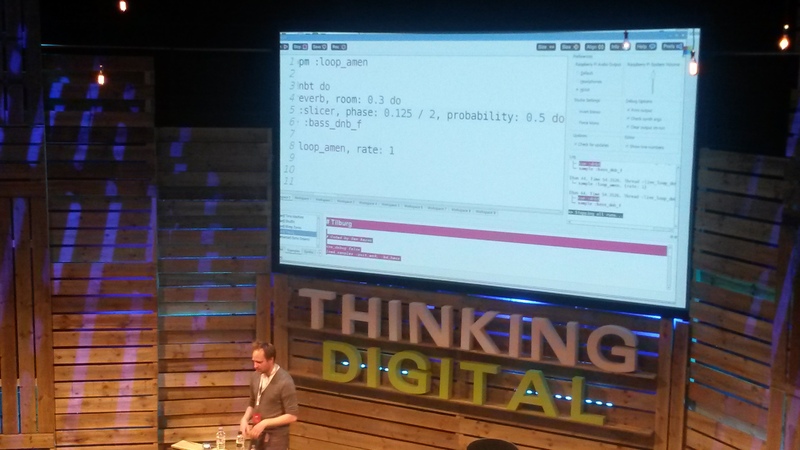 From medical robotics to digital humanitarians, business romantics to particle physics, home automation to a replacement for GPS, physical data visualisation to live coding DJ sets…technical and creative inspiration was flowing from every speaker! It’s now a few days on and i’m still feeling really inspired by the ideas, discussions and people i met in Newcastle. Here is a quick taster of a few of the themes that struck me most, to warm you up for the Manchester event in November. Ian made a passionate call for youthful thinking – un-policed creativity that removes barriers and advances not just ourselves and organisations, but humanity. The way he described this freedom to explore ridiculous ideas had such passion it reminded me of how i feel running down a hill full of joy, before those feelings that you should behave like an adult and be sensible kick in! By focusing on the world and needs, and giving people ownership of their experience, we can do amazing things. For more on this, check out his latest book ‘Spark for the Fire‘. Both Ken and Patrick spoke about something i am deeply interested in, using technology for positive social and environmental change. They gave some brilliant examples of how grassroots innovation has been used to solve real problems on the ground, from Ushahidi and FrontlineSMS, to Micro Mappers, drones and 3d modelling of disaster areas. This is what technology gets really exciting for me, improving lives and reducing suffering. The key advice that i came away with from these two talks was to go to where the deepest need is and ask what you can do to help, but also to find out if something is already being done and if you are the right person to respond before starting something. That’s something i’ll take with me as i explore and develop ObjectivesFirst. For more on how emerging technology can lead us to a better, fairer, more connected world, take a look at meansofexchange.com. This site has up to date news on work in this field, but also community tools to help people reconnect and make better use of resources. For more on becoming a digital humanitarian, there is loads of great content on digitalhumanitarians.com, definitely something i hope to get more involved with in the weeks to come. Don’t worry, this isn’t about seedy office relationships, but about rediscovering moments of unexpected love and awe, moments that ‘make you lose control and fall in love with everything’! How wonderful does that sound – that work could be something you do with all your heart, that business could be deeply personal and full of authentic human connections? Tim’s advice was to look for the big in the small, inject mystique and surprise, and be willing to sacrifice a little in order to belong and feel more alive. You can find out more about how to do this in ‘The Business Romantic’. I’ll finish this blog post with a point from the opening talk that really resonated with me. Technology will change things, and it presents challenges – not the one we see in science fiction where robots become autonomous and take over, but equally important and big challenges. As we continue to innovate and use technology to solve problems in our world, automating work that humans have traditionally done, we will have to find our self worth through other forms of engagement. Luciano reminded us that we are the generation that has the responsibility for laying the foundations for the society of the future. That is something that we can’t take lightly. 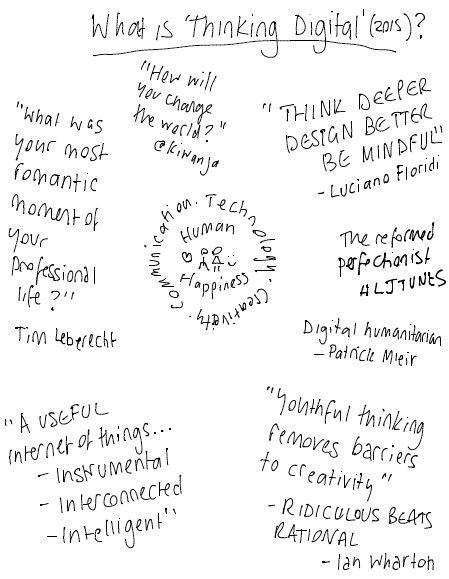 ‘Think deeper, design better, be mindful‘. That’s something i hope i still keep with me in years to come. 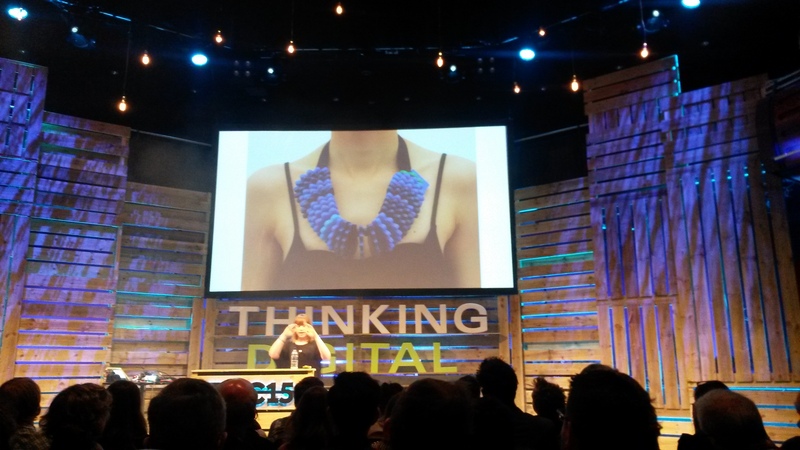 Thinking Digital is coming to Manchester! The conference is coming to Manchester on 3rd November. I’d highly recommend you don’t miss this!